Scott Sanders graduated from the University of Missouri-St. Louis with a degree in Business Management and Marketing in 2004. He also played a key role in helping the University of Missouri-St. Louis baseball team to the GLVC Conference Championship in 2003 while building lifelong friendships/teammates that will never be replaced. He began his professional career as a Marketing Director and after being a client for 2 years he quickly realized his passion lied in working with clients to help them achieve their financial goals based on their specific situation while having a positive impact on their future. 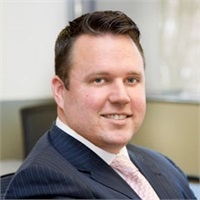 Scott began his financial services career in 2007 and focuses on providing his clients with a planning experience that focuses on all aspects of their financial well-being. He takes a comprehensive approach with his clients by taking the time listening to what’s important with their current financial situation and what they’re hoping to accomplish in the future. After gathering information, he can provide a detailed analysis tailoring financial strategies for each individual, family, or business owner based on their unique situation and preferences. Scott and his wife, Michelle, reside in the St. Charles area and recently welcomed their son, Paxon Marcus Sanders, into the world. He loves spending his free time with family and friends, and is an avid St. Louis sports fan cheering on the Cardinals and Blues. Scott Sanders is a registered representative of and offers securities through MML Investors Services, LLC. Member SIPC ( www.sipc.org). Supervisory Office: 14567 North Outer Forty Road, Suite 300, Chesterfield, MO 63017. Phone: 636-728-2400. Local agencies are not subsidiaries of Massachusetts Mutual Life Insurance Company (MassMutual) or its affiliated companies.